Kakšne so vrednosti C in R ? I like how you soldered the pin headers. I never get such good joints.. only cold joints. Do you have any advice? I think I do know how to solder, I can get good joints on a prototype board. But I’m unable to get such good results with diy made boards.. seems that my copper isn’t really solder friendly after the etching process. 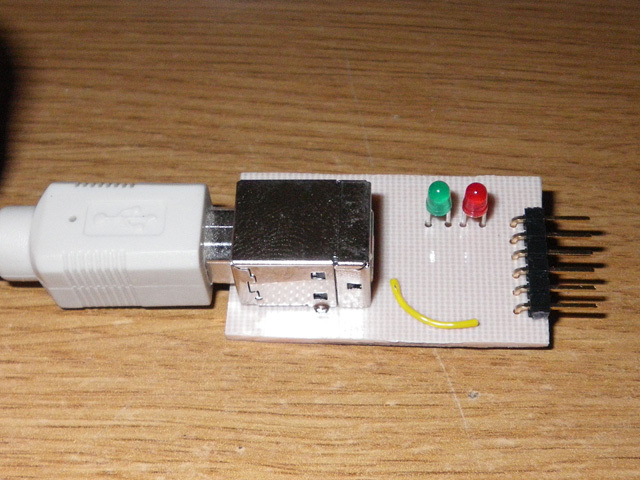 After some more tests I found how to correctly solder on a DIY PCB. It’s just a matter of putting more flux on the PCB. It seems that my homebrew PCBs get out quite dirty (don’t really know why), even if I clean them with alcohol after the etching process.So, lot of flux is needed to solder them correctly. In my experience the copper is the best for soldering “fresh” (I clean my PCBs before starting with fine sand paper (1000-2000 grain) so the surface is nice and clean. 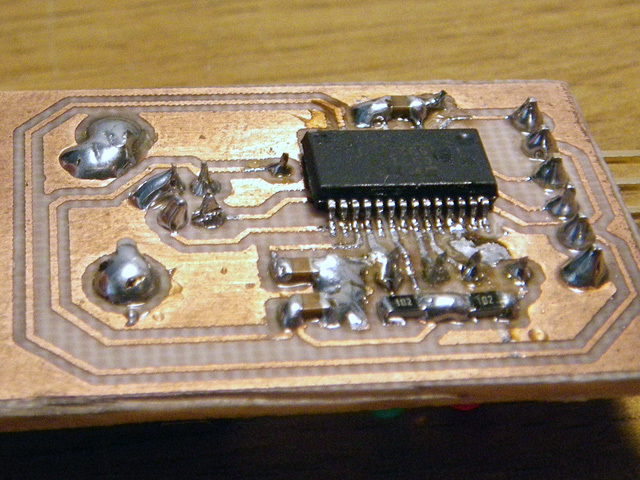 Even only after one week the oxydation starts to coat the top layer and it makes the soldering very hard. One of the ways to solder is using flux/solder paste (you can get it very cheap from Dealextreme btw).